After a period of relative calm, it’s once again been an interesting few days in the world of iOS jailbreaking. With Pangu doing a fantastic job of liberating 64-bit devices running iOS 9.3.3, it seemed that everything was ticking along nicely from a jailbreak perspective. Then Apple got involved and threw a spanner in the works with the release of iOS 9.3.4 to patch the Pangu jailbreak. Now, to go along with the fact that an iOS 9.3.4 jailbreak and Cydia installation has been teased on video, and the fact that Apple is now no longer signing iOS 9.3.3 or iOS 9.3.2, we also have notification that Jay Freeman has updated Cydia Substrate to version 0.9.6300. With iOS 9.3.3 and iOS 9.3.2 no longer being signed by Apple, it really means that anyone currently sitting on iOS 9.3.3 has very limited options. If they opt to upgrade to iOS 9.3.4, either purposely or accidentally, then there’s no route back to iOS 9.3.3 and jailbreak as Apple’s authentication servers would simply reject the restore. It may have taken a little while for Cydia Substrate to get an official update to work as “one would truly expect” with iOS 9.3.3, but it’s clearly been a continuous work in progress as outlined by the previous 0.9.6200 release that seemed to be an interim fix to resolve a storage on the root filesystem issue. 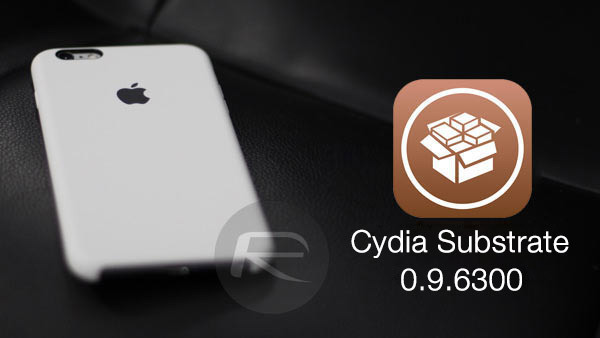 Cydia Substrate 0.9.6300 enables Cycript to work in the way one would truly expect on iOS 9.3. That gives the clearest indication yet that there should be no more unexpected behavior caused by Cydia Substrate or Cycript that allows developers to explore and modify running apps. For those that are continuing to run a jailbroken device on iOS 9.3.3, and choosing to stay away from iOS 9.3.4, or even iOS 10 when it officially drops next month, this latest update in the large jigsaw puzzle that is jailbreaking, should hopefully see those jailbroken devices benefiting from a more stable and pleasurable experience. The update should also give developers additional peace of mind when developing and debugging tweaks and apps designed for jailbroken devices. To update to this latest version of Cydia Substrate, simply open the Cydia Installer and get the update from there. Not sure how to fix now that Apple stopped signing 9.33. Have a jail broken 6+ with 9.33. Used Cydia Impactor 0.9.31 and a personal Apple ID. Everything worked as it should. Every 7 days I would have to re- jailbreak by running the Pangu App on my iPhone. Last night my Phone was hit with the reboot bug. (1st time it ever happened) So when I grabbed it this morning, it was no longer in jailbreak mode. When I tried to run the Pangu app to re-jailbreak, it would not run!!! Opens, shows screen, and quits immediately! If Apple was still signing, I would simply re-run Impactor but they are not as of today (incredible timing). How to I proceed? Or am I now screwed? Hopefully someone with more knowledge than me can answer these questions. Interested to see a fix for this. I’m having the same problem w/my 6+ also. Anyone able to solve this? thx..
Have you done a hard-reboot yet? Hold down both home and lock buttons until the display goes out and it starts to shutdown. This completely powers down the phone. Then push the lock button again to turn the phone back on. Now you should be able to re-run the Pangu app to jailbreak.